It’s important to remember that when a home is put up for sale it should appeal to as many people as possible. Sometimes those flashy paint colors the owners grew up with will not charm new buyers. Here are five ideas for paint colors that will help any home sell quickly. Neutral colors are not just the standard beiges everyone is used to. Rooms painted in creams tend to look better in pictures, which helps out tremendously when listing the house online. 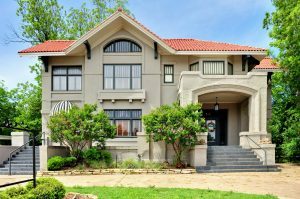 Since most people’s first impression of a home is the online photographs, this technique helps a house stand out from the very beginning. Making rooms appear larger is one technique to help sell a home quicker. A light gray can help make large, clean rooms appear even larger to visitors. This works on rooms that are clutter free and do not have much furniture in them. As an added technique, try painting the moldings the same color of gray so that the walls appear higher. Anybody who owns a house that has a lot of brick, stone or wood should take a moment to browse through some earth tones to accent the room. These colors, while still neutral, are found in nature and accent the natural surroundings of the room. Sienna and umber are two popular choices. When the rest of the home is in neutral tone, it provides the opportunity to spring a room to life with a dash of color. A light green is perfect for an indoor patio or den that overlooks a garden. This is one way to give a natural and earthy feel to a room that has plenty of sunlight. 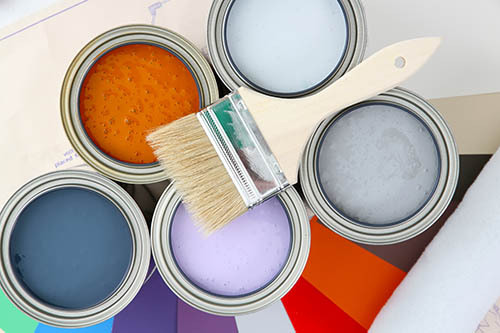 Before painting, talk to your local real estate agent to walk through your home with you and give you some pointers on which colors they think will work and which ones may be problematic. This entry was posted in Home Seller Tips and tagged Home Seller Tips, Selling a Home, Staging by BJ Kirkpatrick. Bookmark the permalink.